We lead Professional Advanced Aari Embroidery courses, Machine Embroidery Classes, Tailoring Classes, Saree Tassel Classes. We endeavor orders for Bridal Blouses. Prabhas Designs prepared more than 100 understudies yearly. 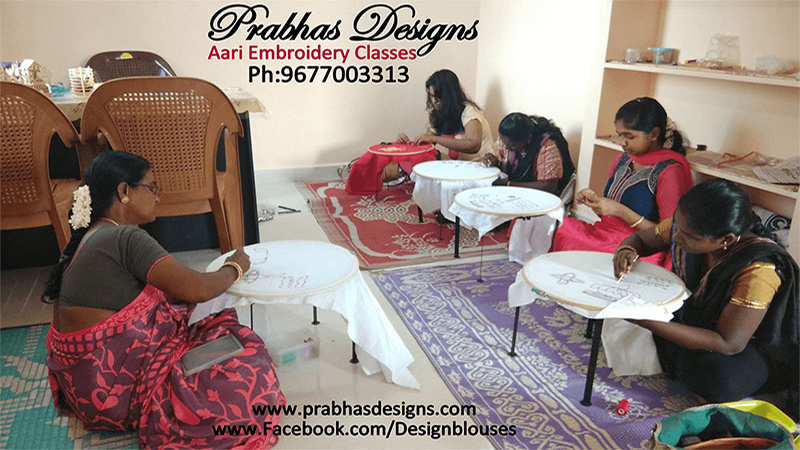 Aari Embroidery Classes contains two levels Basic and Advanced. We show more than 30 sorts of fastens in every level. We will make our understudies master in Designing , following and actualizing the plans in the pullovers independent from anyone else. We give all materials required to Aari class.